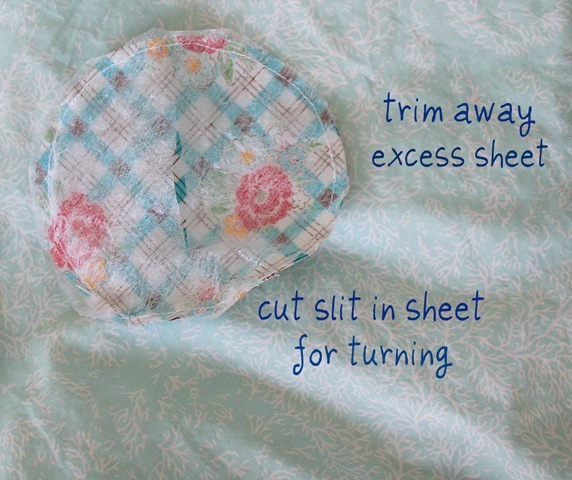 Don't throw those old dryer sheets away, save a few for your sewing box. 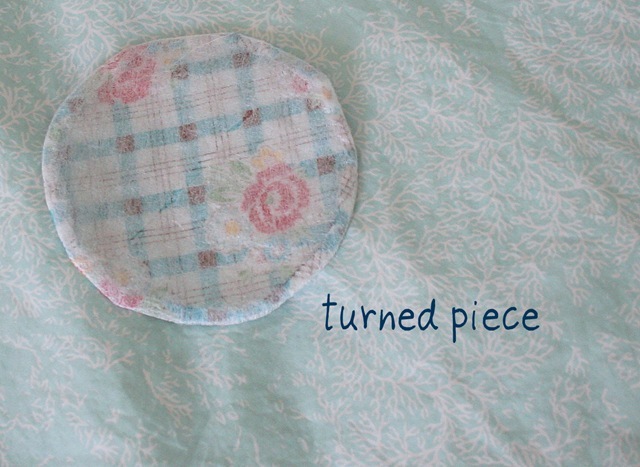 They come in handy for applique or yo-yo's or any time you need to turn under a tiny edge. I'm going to make a yo-yo. Follow along and I'll show you what I'm talking about. 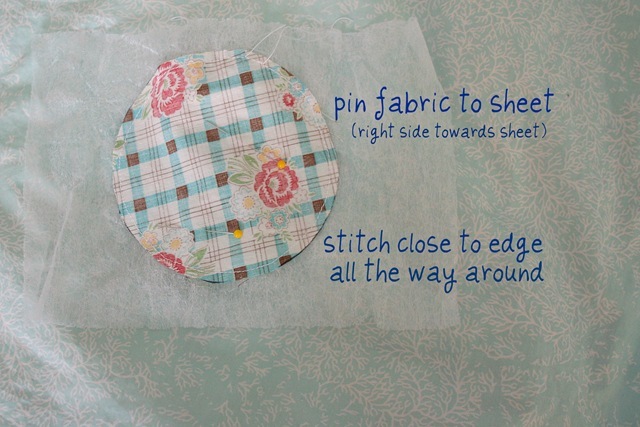 Now this can be used for applique. I'm going to make a yo-yo. 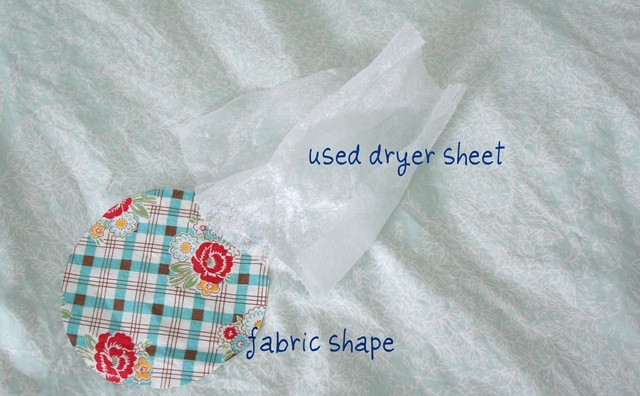 Used dryer sheets don't add any extra weight or bulk to your piece. Green too. We like that. Wow, what a great little tip! Your directions are very clear, too. I’m crazy for yoyo’s! There are so many uses for them. I save mine to use in the bottom of flower pots – stops the potting mix from leaching out the hole when you water! Your yoyo idea is great – I hate to throw away stuff that can be reused in great ways. Yeah, more snow here this morning too – pretty but come on now, enough is enough here in the south!! Hope life is good Suzy. Great tip! and very clear tutorial! I don’t use dryer sheets too often, but I have them put aside, saved them for different projects. It’s amazing the ideas green-crafters have come up with to use these. Now if we can just get the rest of the world to find a good use for them! Excellent recycling tip! Thank and keep them coming! You are SUCH the clever girl! 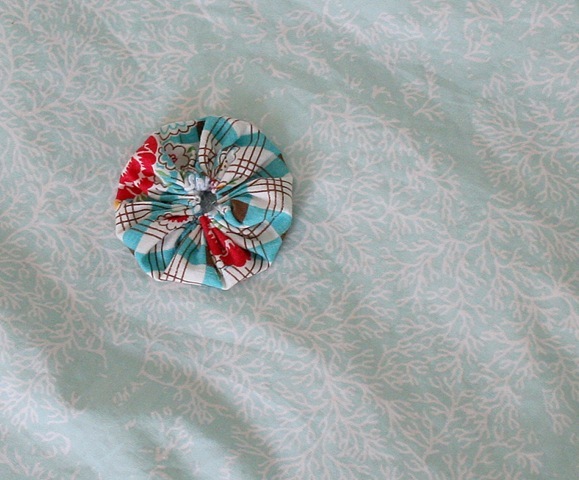 The ONLY time I wish I knew how to sew is when I read your blog. Have a L*O*V*E-ly day. That is pretty slick! Great tip! 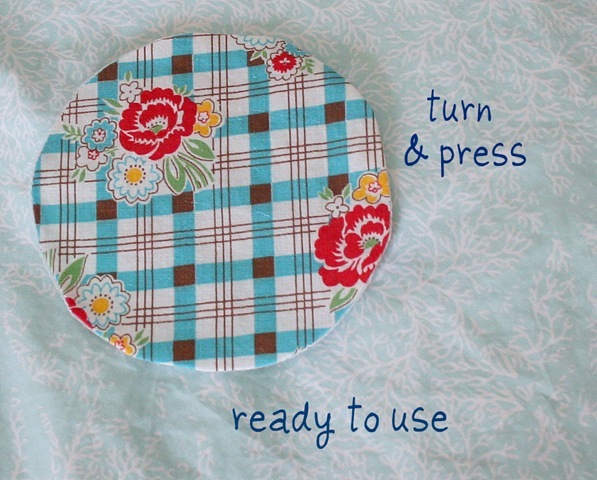 Terrific idea…I use dryer sheets and that would be great to use for applique. That is indeed a great idea…pity we don’t have such things here…we hardly ever use the drier, being sunny and hot and all and I am fairly sure they don’t even sell them in the stores here. I have used them before when I lived in England and admit I tried to copy the idea with baby wipes but somehow it just wasn’t the same. Very good idea. I think this would really be helpful with my daughter, Daisy, in getting that edge turned. I bet that would make it so much easier for her.